The second Illuminated Letter class with theresa mARTin will be held at Artistic Artifacts on Saturday, June 10, 2017, 10am to 2:30. In addition to working on letters, you will receive everything to make the collage in the photo above. Included too, is a small blank book like the ones in the top of the photo. Sign up is —> HERE. All materials you will need are included in the price of the class ($68.00). 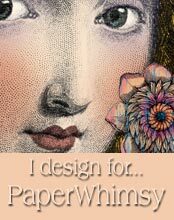 You will leave class with your own custom hand made design perfect to frame, use in book arts or as a greeting card. Join us! Categories: Blog | Tags: artistic artifacts, blank book, collage, design, Gel Pens, Illuminated Manuscript Letter, pattern | Permalink.